With the internet, universal access to education is possible! With the internet, universal access to education is possible, but its potential is hindered by increasingly restrictive copyright laws and incompatible technologies. The Open Education program at Creative Commons works to minimize these barriers, supporting the CC mission through education, advocacy and outreach on using the right licenses and open policies to maximize the benefits of open educational resources (OER) and the return on investment in publicly funded education resources. Our work cuts across all levels of education (primary – secondary – tertiary) and sectors of industry (non-profit – corporate – government). With over 120 major content partners, OER Commons provides a single point of access for over 30,000 items! An online collaborative encyclopedia providing global access to knowledge about biological life on earth. CC licensed non-profit publisher and advocacy organization focused on science and medicine. The School offers free education opportunities for anyone to learn about the meaning and impact of open licenses and resources. A coalition of experts who work to foster the creation, adoption, and implementation of open policies and practices that advance the public good. 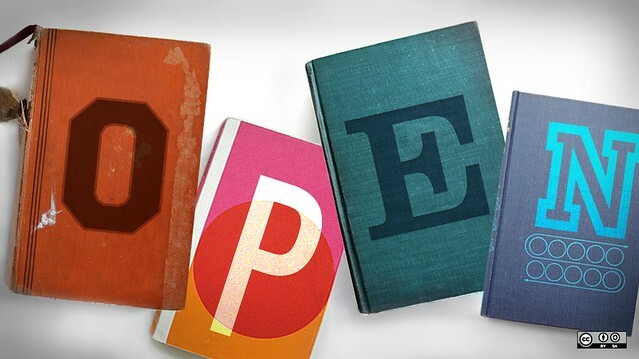 Join the CC Open Education Platform: Stay connected to global actions in open education resources, practice, and policy. Identify, plan and coordinate multi-national open education content, practices and policy projects to collaboratively solve education challenges with an amazing group of open education leaders from around the world. Collaborate on a project: Interested in one of our projects above? Visit the project’s page directly to contribute. If you’d like to propose a new project idea, send a note to education@creativecommons.org. License your work: Want to add a CC license to your project? Visit creativecommons.org/choose. Fund OER: Want to incorporate CC into your education funding policy? See Funder Policies for how to understand and implement CC licenses. Promote your project: Want to highlight your CC education project? Add it to our Case Studies wiki and tag it with ‘OER’. Then send a note to press@creativecommons.org. Share open policies: Know of an open education policy in your jurisdiction? Add it to the OER Policy Registry — we need your help to make it a truly useful global resource. Stay up-to-date: Subscribe to the CC blog or simply follow the OER section of the blog. $1,200 a year for textbooks? !